Let’s talk about lima beans. The first time I tried them, I was about 12 years old, at a friend’s house and I hated them. They were boring and bland. So one day, when my mom randomly made them, I was quite hesitant to eat it. But, I succumbed to the pressure and tried these beans once again. I was pleasantly surprised. Lima beans can actually be tasty and full of flavour! If you don’t normally eat these beans, or have never tried them, I don’t know what you are waiting for! Lima beans are packed with protein and a wide array vitamins and minerals. They are particularly a good source of copper, manganese, folate, iron and cholesterol-lowering fiber. They also provide numerous health benefits including: promoting heart health, producing energy and stabilizes blood sugar levels. Plus, they are readily available in your local grocery store. So no excuses! You can find them dried, canned or frozen. 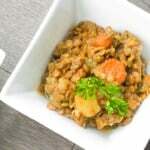 This recipe uses dried lima beans, since it is the only type that I have tried to make so far. So what is the secret to make them tasty? There really is no secret at all. There’s no complicated way to cook them, nor is there a rare, secret ingredient. In fact, all it takes is a few basic ingredients to bring these beans to life: onions, garlic, turmeric, italian seasoning blend (which consists mainly of basil, oregano, rosemary, and thyme), salt and pepper. Yup, that is ALL! The key is that once everything has cooked in the saucepan, turn off the heat and set it aside (still covered) for at least 20 minutes. This is crucial! It enables the flavours from this combination of ingredients to really settle into the sauce to create the flavourful creaminess and richness that is so apparent in this dish. That’s right, the creamy texture comes from the beans, not from any dairy. This dish is completely 100% vegan! Once ready to be served, simply reheat the beans on the stove. Give them a taste and add more salt, pepper or italian seasoning as required. I love to keep this meal gluten-free and vegan by serving over a warm plate of Basmati rice with saffron. If you are not on a strict diet, you can also serve this with a side of toasted french bread. If you realize that you have made too big of a batch, no need to panic! This recipe makes excellent leftovers! I personally think they taste even better the next day. They also freeze very well. So well, that I usually double this recipe just to freeze the rest. It makes my life so much easier on a weekday when I am super tired and do not feel like cooking! I just take one of these out in the morning and it is thawed out by the time I get home. I only need to reheat and possibly add more salt or seasoning. Lima beans don’t have to be boring and bland. Bring them to life by making them tasty and full of flavour with this easy to follow recipe. Saute the onions for 2 minutes and then add the garlic and turmeric. Continue to saute until the onions are soft and translucent. Set aside. I was amazed at how delicious this is, given how simple the ingredients are. I used frozen limas and still cooked them for 40 min, but limas don’t fall apart. Delicious! Delicious flavor! Made them for luncheon, and everyone ate them up….even the kids. Delicious!!!!!! Im so happy I came across this recipe. You know it’s a good one when you write it down immediately after you cook it! Thank you! These beans are absolutely delicious! 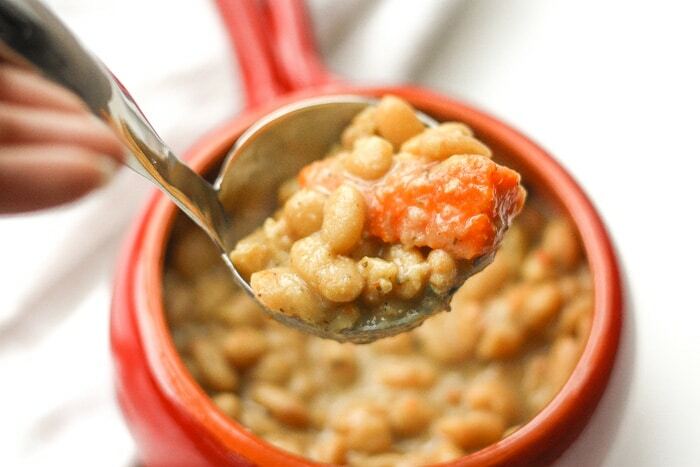 I’d never tried lima beans before and now I’m a fan thanks to this recipe. I did use olive oil instead of vegetable and tossed in a bay leaf for a little extra flavor. My husband gobbled them up too! Thanks for the keeper. 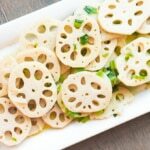 Has anyone tried this with frozen baby Lima beans? If so, how would I adjust the recipe? 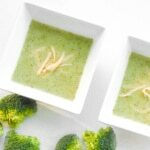 I made these with frozen lima beans and didn’t have to change anything. That said, frozen lima beans have a bit more water to them, so you may need a bit less water for boiling. Listen. This is SPOT ON!! I’ ve never cooked Lima Beans before but this is my new favorite! So good. I made these for a meal that got canceled, then froze them without tasting them beforehand. It was with a bit of hesitation that I thawed and reheated them last night to go with smoked sausage and a celery salad. HOLY COW, they were so good! 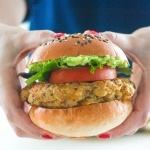 I’m going to be making this recipe over and over again; thank you for sharing it! Lima beans are some of mine and my son;s favorites, so I’ll definitely be trying these! This is something new. I love to try new recipes 🙂 Gotta try this thank you. No problem, Ayesha! I am glad you like the recipe! I try to fix beans as much as possible, There are so many healthy reason to eat beans. This looks delicious and something my family would enjoy. As an adult, I hate lima beans. But funny story, when I was a child, I used to LOVE lima beans. In fact, my brother and I would fight over them when my mom gave us vegetable soup. 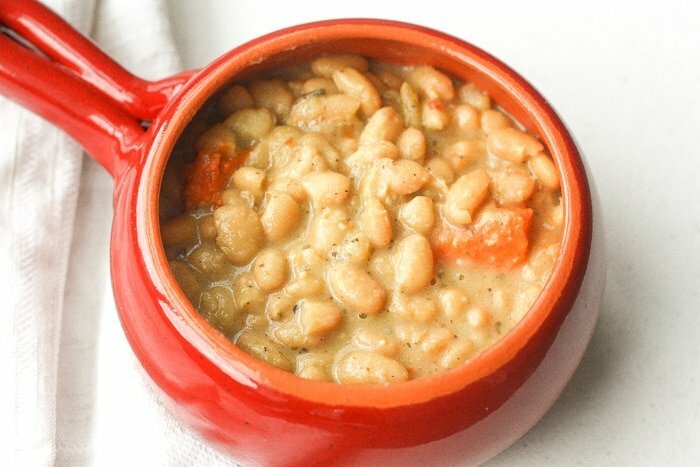 So my mom would strain the veggies out of the soup and split the lima beans equally between our bowls so we wouldn’t fight. This looks so delicious! and looks so full of flavor too! Thanks, Ana! I’m glad you like the recipe! You are most welcome, Julia! Who knew you could make lima beans so flavourful? I’m definitely going to have to try this recipe, I love having beans as a side dish! Yay! I’m glad you like the recipe, Jessica! I love beans! Lima beans, string beans, mung beans! They are so many ways to enjoy them. I love that they give me much needed dietary fiber. I just hope they don’t give me so much gas. Hahaha me too! I could have beans almost every day! What an easy and fun recipe! I know we need to try this out this week. Wow. I love beans. I droll looking on your photo. I was hoping for meaty foods on it. But hey I guess this is more nutritious. This looks delicious. I want it! Thanks, Rhi! 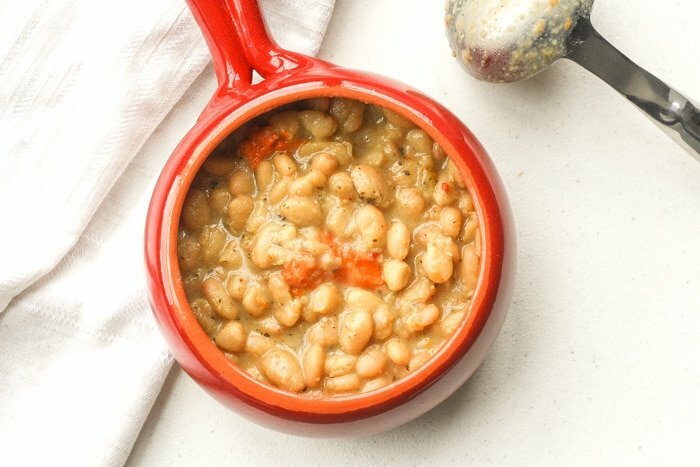 It’s a good thing that these beans are very easy to make! Whenever I think of Lima beans I think of one of my books as a kid where he hated Lima beans lol. Yours look like ones I’d try! To be honest with you, I have no clue if I’ve even tasted lima beans. Now I really want to try this recipe! I never liked beans as a child either. There was something rather icky about them. Now, as an adult I can’t get enough! Loving the sound of your recipe! I really love easy recipe! Wanna try it. My husband will love this. I love most beans, so I bet I would love these! Love the addition of turmeric too! I’m glad you like the recipe, Annie! I don’t like eating beans. But, these lima beans and its recipe looks very delicious. Will try it out, I guess for a change. When I was a kid I hated beans in general, no matter what kind it was, I will never eat it. These days though, I love how they add texture to the food and they absorb flavor really well. Thanks for the recipe! I’m already a fan of lima beans, but I think this recipe could turn anyone into a fan. Such a tasty blend of ingredients! I love Lima beans and the idea of jazzy it up with Turmeric and curry on top of rice. Have to try your recipe! I love the use of Tumeric in these beans. I’m not normally one for beans in general, but I think the flavours you have here are amazing! My husband just cooked one last night and I love it! Unfortunately, I have gout. I eat this and its excruciating pain for me. It would have been a delicious dish. I love lima beans! This recipe sound hearty and delicious! So need to make this for my family. I’m so doing this. It looks so easy and delicious. This sounds amazing I would love to try Lima beans and add some sweet potatoes, carrots and sweetcorn. I love hearty bean dishes. Just to let Emma know, Lima beans are called Butter beans in the UK, I think you’ll find broad beans are known as Fava beans in the US, just get yourself a good Chianti! Your recipe sounds really good. I can’t think of the last time I made lima beans. This looks so comforting and perfect on this chilly day here in the Midwest! 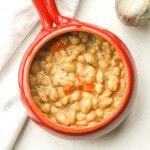 I would love to be cozying up to a bowl of these delicious Lima Beans! 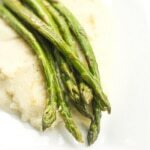 We don’t eat a ton of beans in our house, but I think this recipe looks so tasty and simple that we need to start trying! Thanks for sharing! Lima beans come in both cream or green colour. I’ve personally never tried the green ones but the cream ones are great! These look like what we call Cannellini beans in the UK. Your beans sound great and I love the addition of turmeric. Great recipe! I have a bean-heavy diet because I’m on the weekday veg diet, and honestly lima beans are a life-saver. They can go in a lot of things, so this recipe would be great for leftovers, too! I can’t wait to try out your recipe! I have never made lima beans but after reading this I think I will give it a try. My husband always likes when I make something new. This dish looks really yummy. We love beans soup at home but just like you I’m a little hesitant about lima beans. I’ll try your recipe soon… it looks amazing! Have actually never made lima beans but these look and sound so good I need to give them a shot! I absolutely adore beans, including Lima beans. I am pinning your recipe for use. Just a question though, when you say Italian seasoning- what is it exactly? Marjoram, oregano, rosemary, anything else? I buy my spices separately, not in to blends. Hence asking. Do let me know please. Yes, I take the shortcut and buy my Italian seasoning in a blend. It consists mainly of: basil, oregano, rosemary, and thyme. You could even add a little bit of sage too. Anything you’ve got works. Of course thyme! 🙂 Thanks Sam. Will be trying this soon. I haven’t had Lima beans in years…I should bring these back to dinner. I used to love lima beans and rice! Mmmm lima beans and rice. I am glad that I have some left overs! I don’t think I’ve cooked lima beans before, unless they also have another name… but this looks good and hearty. My mom only made her beans from the dried bean, never from a can. This reminds me of home and looks so delicious! So hearty and delicious, such a comfort dish.